Peddler's Village. 900 Zuni Drive. Hours: 7am to 3pm. New market, opened in1999. Free adm, ample free parking. Indoor/outdoor market with approx 40 dealers. Good food here, restrooms, h/a. Space from $5. c/p Art Page, 900 Zuni Dr, 88310. (505) 443-8000. Fax (505) 443-8045. 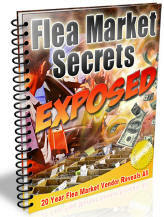 Show & Sell Flea Market. State Fairgrounds. I-40, Louisiana Street Exit. Hours: 7am to 5pm. Ample paved parking. Admission charge $2.+ parking. Outdoor market with approx 6-700 dealers. This is a large commercial market with mostly new merchandise. Lots of Native American jewelry, art & artifacts. Lots of food, restrooms, h/a. Space from $12. c/p Hugh Perry, Box 8546, 87198. (505) 265-1791. Fax (505) 266-7784. Classic Century Square Flea Market. 4616 Central SE. Approx 75 dealers. New and used merchandise, souvenirs, Indian art, jewelry and artifacts. Western wear and country collectibles. Food available, restrooms. (505) 285-3161 or 294-9904. Classic Century Square Flea Market. 3100 Juan Tabo NE. Approx 75 dealers. New and used merchandise, souvenirs, Indian art, jewelry and artifacts. Western wear and country collectibles. Food available, restrooms. (505) 285-3161 or 294-9904. Highway 64 Flea Market. Ample parking. Average daily atten 400. New merchandise, used and garage sale items, farm and ranch items, western and Indian art, jewelry and collectibles. Food available, restrooms, h/a. Spaces 14x24, cost $3. Overnight camping welcome. c/p Kent Doak, Box 1235, 87413-1235. (505) 632-2204. BJ's Flea Market. 17775-A Bosque Farms Blvd. Outdoor market with approx 25 dealers. c/p Bennie Garcia, (505) 869-6995. The Bounty Hunter Flea Market. 413 Chaparral Drive. 8 miles North of El Paso. Hours 7 am til dark. New and used merchandise, garage sale items, jewelry, western wear, house wares, farm & ranch items, produce, locally made crafts. Food available, restrooms. Commercial vendors welcome. (505) 824-4232. Discount Furniture & Variety Flea Market. Motel Drive. 3 blocks West of K-Mart. Free adm. Ample parking. Average attendance 2,000. Approx 30-50 dealers. All types merchandise available here. New products, surplus, overruns, souvenirs, novelties, western wear, new & used furniture, house wares. Food available, restrooms, h/a, camping available. Space from $5. per day w/electricity. c/p George Reynolds. 1316 E. Pine St. 88030. (505) 546-6652. Farmington Flea Market. 7701 E. Main Street, Highway 550. Ample parking. Hours dawn to dusk. Free adm, ample parking. Outdoor market with approximately 200 dealers. Wide variety of merchandise here; new and used, including livestock, and pets. Snack bar, restrooms, h/a. Space from $4. on Friday & Sunday and $8. on Saturday. c/p John Wright. 7701 E. Main St, 87401. (505) 325-3129. Gallup Flea Market. Old Route 666. I-40, exit 26. Hours: 8am to dark. Free adm & ample free parking. Antiques, collectibles, lots of Indian jewelry. Indian items and Indian fine art. Outdoor market with approx 350 dealers. Space from $10. Snack bar, lots of good Indian food here, restrooms. c/p Vi Fenley, Box 1888, 87305. (505) 722-7328. Big Daddy's Flea Market. 7320 N. Main. (Highway 70 East). Hours 6am-5pm. Free adm. Ample parking. Average daily atten of 2,500. Approx 300 dealers. Large commercial western market with lots of new merchandise, Mexican imports, jewelry, clothing, art, artifacts, western collectibles, crafts (Indian & Mexican), house wares, produce. Convenience store, restaurant, restrooms, h/a. Covered and outside spaces available. Space from $8. Camping & electricity available. (505) 382-9404 or 382-4055. Market is undergoing major construction and is converting into large commercial shopping area. Traders Village. 2200 S. Sunset. Hours 7am-4pm. Ample parking. Indoor & outdoor market with approximately 50 dealers. Lots of Indian jewelry and handicrafts here. 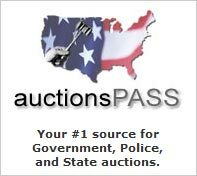 New and used merchandise, collectibles, crafts, house wares, and local garage sale sellers. Snack bar, restrooms, h/a. Space from $4. c/p Dalton Ross, 2200 S. Sunset. 88201. (505) 622-7410. Silver City Flea Market. Downtown. Indoor market in old 1897 adobe style building, 12,500 sq ft. Antiques, collectibles, Indian jewelry and art, primitives, ranch items. Restrooms, ample parking. Open daily. c/p Patsy, (505) 388-8989.